Dr. Meeks founded the Moyo Nguvu Cultural Arts Center, Inc. in 1990 in Denver, Colorado. 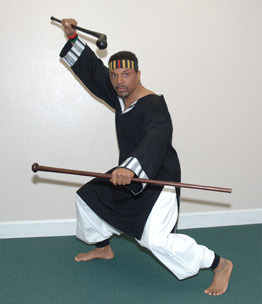 He has studied and participated in martial arts for over 35 years- including Asian and African styles- and is presently at the 8th master Level called Bawo. He is a respected, accomplished drummer of several African and Caribbean styles. Raised in New York City, Dr. Abayomi Obadele Meeks has developed and implemented nationally recognized pilot programs for youth, and has consulted and motivated numerous community service organizations in the development and enhancement of youth programs. Dr. Meeks graduated from Howard University with a Bachelor of Science and Pre-Med degrees. He attended the First World Institute of Traditional Chinese Medicine of New York City, where he received his first acupuncture degree. He received his Doctorate of Acupuncture in Asian Medicine from the International Institute of Traditional Chinese Medicine in Quebec, Canada. Since 1990 he has been in private practice at Moyo Health Associates, Inc. in Denver. 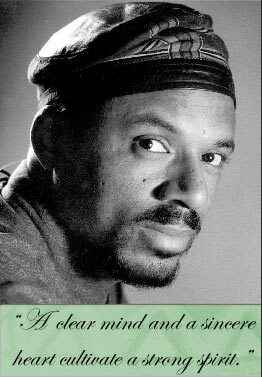 Since 1980 he has been researching, documenting and teaching African warrior spiritual traditions. He shares with people in a genuine, sincere way while inspiring and empowering each person to tap into their fullest potential as a powerful spiritual being. Moyo Nguvu Cultural Arts Center, Inc. was the first Pan-Afrikan cultural and healing institution established in Colorado. The center was founded out of the need for greater cultural diversity and enhancement in the state of Colorado. Since 1990, Moyo has developed a reputation for offering quality programs. Moyo’s philosophy is to build character through love and discipline. He focuses on youth ages 5 through 25 years. However, they are a family-oriented organization and have classes and workshops available for adults. Group rates and family discounts are available. The earliest written documentation about Afrikan Martial Arts systems dates back to over 5,000 years ago, in ancient Kmt (Egyptian) Hieroglyphics. Today the tradition is respected and well researched, but emphasis is also put on the development and evolution of the art through creative, effective, expression and application. 1. I am one with GOD. 2. I am proud to be my true self. 3. I am respectful of my parents and teachers. 4. I am just and honest. 5. I am courageous in the face of adversity. 6. I am a dedicated disciple of Moyo Nguvu. 7. I am respectful of the chuo at all times. 8. I am respectful of my mind and body. 9. I am sure to use my martial skill only when absolutely necessary! Moyo Nguvu Cultural Arts Center, Inc.